Malwarebytes Anti-Malware detects and removes a new application called HoroscopeZone. How do I know if I am infected with HoroscopeZone? How do I remove HoroscopeZone? Malwarebytes Anti-Malware detects and removes a new application called Your Weather. How do I know if I am infected with Your Weather? How do I remove Your Weather? Malwarebytes Anti-Malware detects and removes a new application called bestMovies Search Plus. How do I know if I am infected with bestMovies Search Plus? How do I remove bestMovies Search Plus? Malwarebytes Anti-Malware detects and removes a new application called Streaming Time. How do I know if I am infected with Streaming Time? How do I remove Streaming Time? Malwarebytes Anti-Malware detects and removes a new application called MuzikFury. How do I know if I am infected with MuzikFury? How do I remove MuzikFury? Malwarebytes Anti-Malware detects and removes a new application called WiperSoft. How do I know if I am infected with WiperSoft? How do I remove WiperSoft? 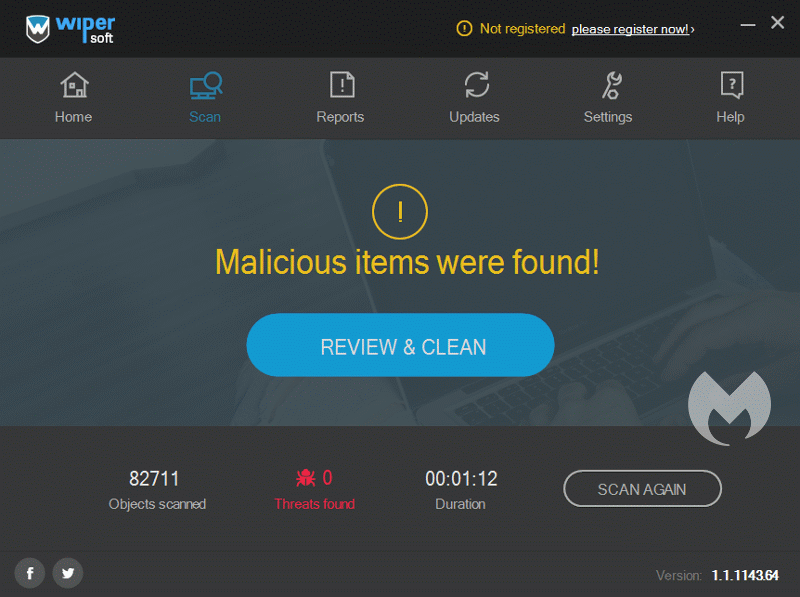 Malwarebytes Anti-Malware detects and removes a new application called Quick Converter. How do I know if I am infected with Quick Converter? How do I remove Quick Converter? Malwarebytes Anti-Malware detects and removes a new application called BestMovies Now. How do I know if I am infected with BestMovies Now? How do I remove BestMovies Now? Malwarebytes Anti-Malware detects and removes a new application called Fanatical Assistant. How do I know if I am infected with Fanatical Assistant? How do I remove Fanatical Assistant? Malwarebytes Anti-Malware detects and removes a new application called ConvertoWiz. How do I know if I am infected with ConvertoWiz? How do I remove ConvertoWiz?